One week ago, I bought multi monokey plate and fixed it on my bike, I did not put the support arms. I was waiting ducati ones that i order; so I could keep the side racks as well. Today I noticed top-case was little wobbly, then i saw the crack. So I suggest use the extra arms. I learned my lesson, but I did not cary anything heavy, just my chain 7 lbf. I am really upset, and worried; what is next? Last edited by HyperEA; June 7th, 2013 at 12:45 PM. At the weight of the chain you should add the weight of the topcase and figure out what happen to that support everytime you drive on a bump or a pit on the road, it's a physical phenomenom called 'bending moment' and it's avoidable using the support arms. Enjoy your Hyper but take in mind what kind of physical forces influence the parts you modify. Wow, I think that sealed the deal. 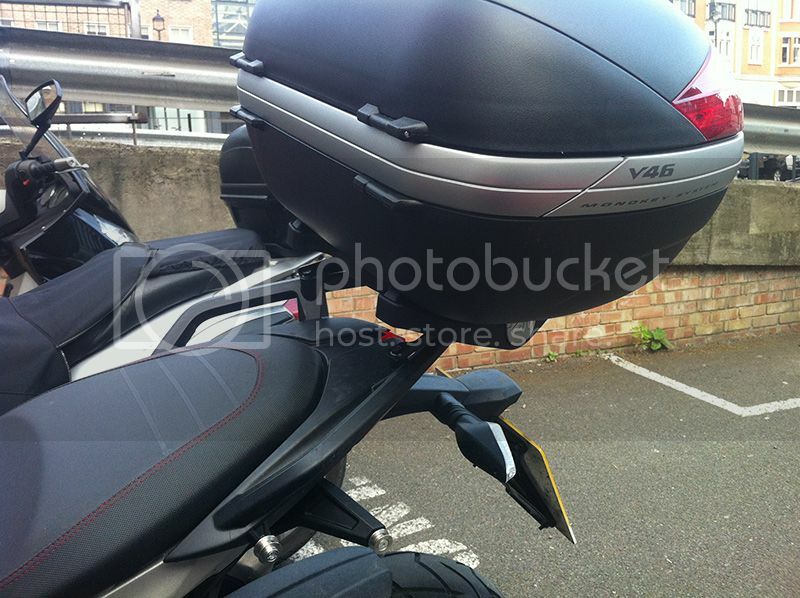 I'm using the Ducati top case which is a bit smaller and lighter than the Givi V46, and it looks really sleek and nice without the extra support arms, and the side bags removed. I used it last weekend and didn't notice any cracking, but I think I'll keep 'em mounted and hope the look of the extra arms grows on me. mx, can you post a pic of top case and slicked sides? BTW, Speedymoto sliders fit nicely too. Speedymoto #09-0205 is correct even though they haven't updated the label yet to show the new Hyper. 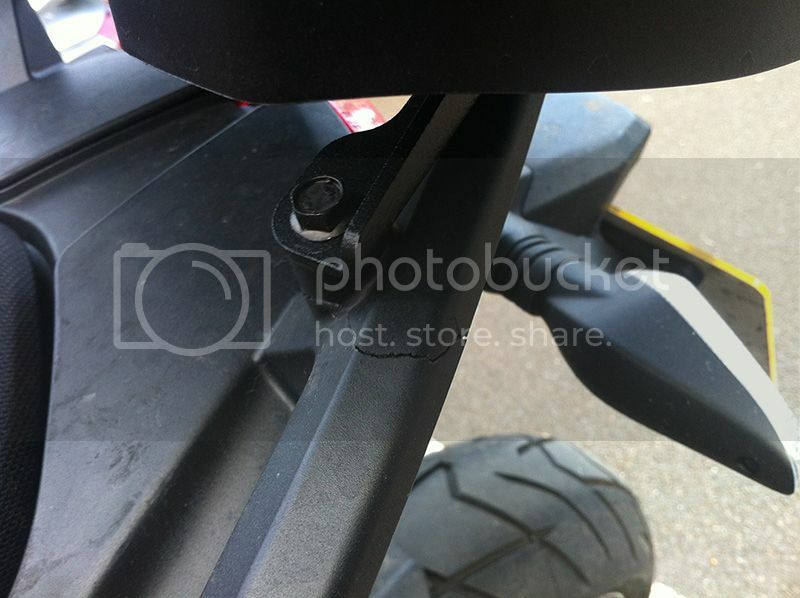 I just installed the SpeedyMoto frame sliders and front and rear wheel sliders. They fit and look great. Also, the rear wheel sliders act as lifting points for a rear axle bike stand, so I removed the factory center stand and I now have more ground clearance in the twistes. So... What are we doing about top case rack arms? No skin off his nose to replace and bill ducati.